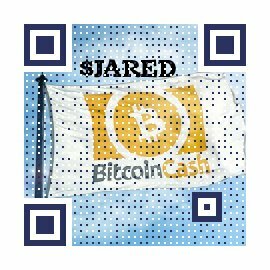 Bitcoin Cash price is often expressed on charts. The scale of charts can frequently be changed, such as from 1 month to 3 months, to 6 months, to an entire year. Shorter timescales are available as well. The vertical scale can be altered as well to either scale linearly or scale logarithmically. The latter makes it easy to judge relative percentage change between sets of data points and is most commonly used by experts. This allows the relevance of price moves to be judged. For example, if the price is very high, a small price move will appear insignificant. It also aids in making changes in price visible to the naked eye, however big the range in price is for the data set. Many of these charts can display technically relevant aspects of the price data as well. While a chart might simply show a raw price, it could also have the option to express price using bar charts, or candlesticks. Bar charts and candlesticks are closely related and use a slightly different visual language to convey the same information, namely whether the closing price was higher or lower than the closing price, the distance between the higher of those two numbers and the highest point during the day, the distance between the lowest of the open and close price and the lowest point in the day, and the magnitude of the difference between the open and close of the day. All of these parameters, along with the mean price, when portrayed over multiple days, form the basis for a well regarded tool for market sentiment interpretation. Stockcharts.com has a long list of candlestick patterns and what they indicate. Investing.com offers these technical analysis tools and many many indicators. They even show whether a news article was published at a given temporal point on the chart, providing a link. CryptoCompare offers a variety of indicator options as well, along with candlestick and standard charts. 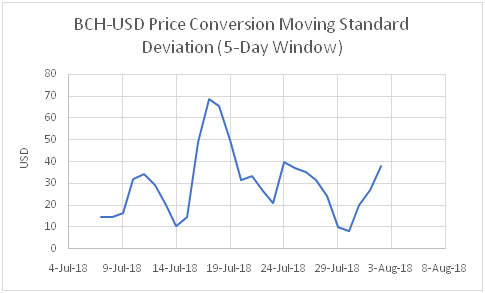 At WorldCoinIndex, BCH price is updated in real-time and price rises are expressed by a momentary green highlight and price decreases are expressed by a momentary red highlight. Changes to the volume over the last 24 hours are similarly updated and color-coded. Below this is a chart that can be scaled to portray increasingly long periods of time. As is the case elsewhere, such as CryptoCompare and CoinDesk.Live, if you hover your mouse over a portion of the chart, the date corresponding to that location on the chart and the price in fiat currency at that moment are displayed. An added feature that is useful is that to the right of this chart, there is a table of exchanges that displays conversions with other coins and fiat currencies at those exchanges. The average of these conversions informs the conversion displayed at the top of the page. 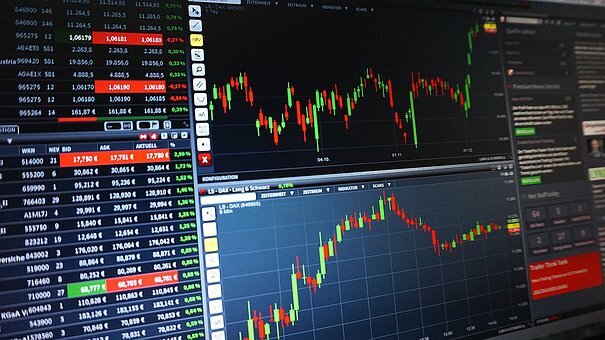 Other providers of Bitcoin Cash charts might prefer to display data from a single exchange, such as Investing.com, which draws data from Bitfinex. Coin Market Cap has the nice feature of providing historical Bitcoin Cash Price data in a table that is updated once a day.